Ms. Crawford represents clients in a variety of commercial and business related matters and litigation. Her primary focus is on first party insurance litigation. 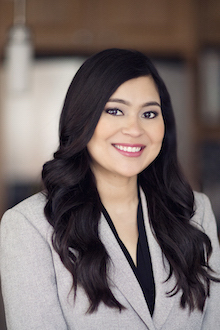 Prior to joining Doyen Sebesta & Poelma, LLLP, Ms. Crawford practiced in the Houston area and gained valuable experience by conducting depositions, successfully resolving cases through mediations, and arguing at the district and county level in contested hearings involving commercial litigation matters. Ms. Crawford successfully first chaired her first trial in the Harris County Civil District Court, gaining a favorable judgment after two days of trial. Ms. Crawford earned her Bachelor of Arts degree in Government from The University of Texas at Austin in 2007. After graduating, Ms. Crawford spent the next few years working for the Attorney General of Texas. She then attended St. Mary’s University School of Law and earned her Juris Doctorate in 2013. While at St. Mary’s University, Ms. Crawford was active in Student Government and studied at the St. Mary’s Institute on World Legal Problems at the University of Innsbruck in Austria.